In spring, last year, we were exploring ideas for our next holiday and zeroed down upon Australia for a 2 week long holiday in November. 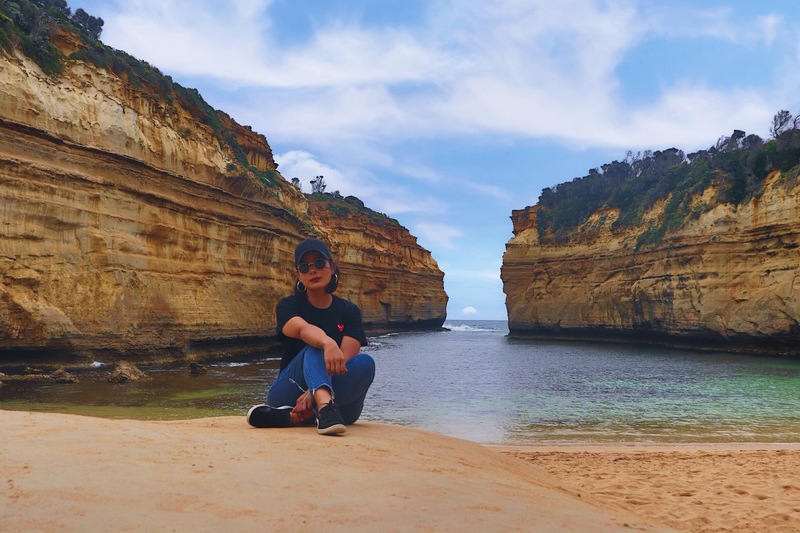 One of the deciding factor was the fact that we could have a great opportunity to self-drive at the Great Ocean Road and visit the Twelve Apostles, which had been on our bucket list for quite some time. As frugal travellers, we often try and give group/private tours a miss wherever possible and rely more on public transport and self-exploration. 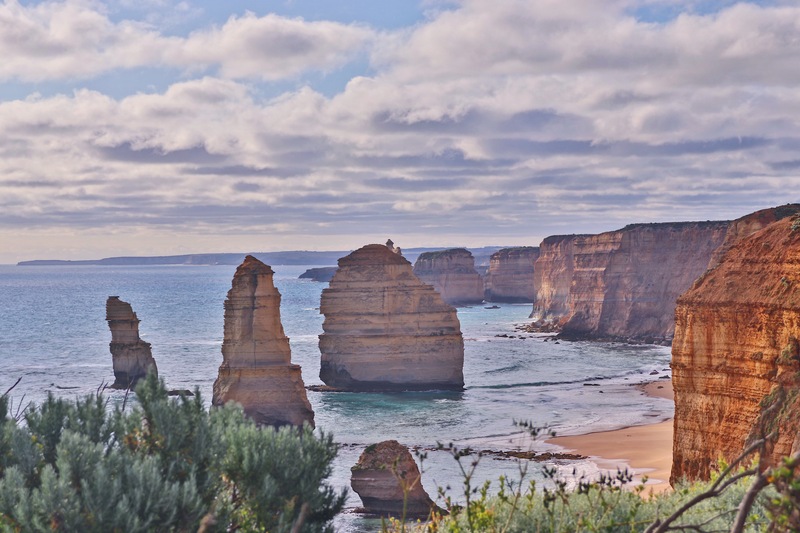 Well, it is almost impossible and impractical to take the public transport in order to explore the Great Ocean road and the Twelve apostles, but we do recommend you explore it on your own and for that there is no better way than to hire a car and drive yourself. A lot many people make a day trip out of it, but we won’t recommend doing that as you would be missing out on so many things and will have a quite a bit of distance to cover. Having said that, if you are short on time and have only one day for this exploration, a tour bus would be your best option. But if you can spare at least 2 days and love to drive – READ ON! In Australia, you drive on the left side of the road, which was an advantage for us since we drive on the same side here in India, however we still went through a few websites/videos and got ourselves accustomed to the driving rules in Victoria. As a tourist you don’t need an international licence or an international driving permit if your licence issued by your country is in English. Next up, you need to hire a car. 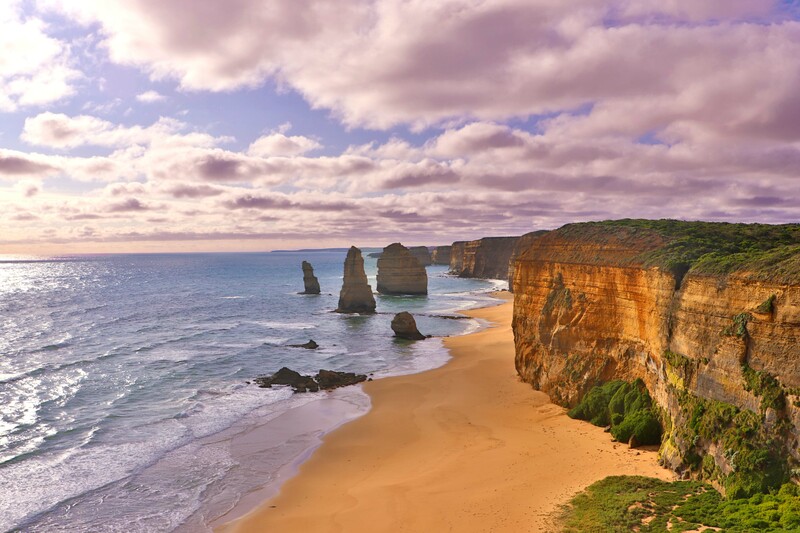 Well it may seem obvious to hire a car from Melbourne itself but the fact is that Great Ocean Road officially starts at Torquay, which is like almost a 100 kms away from Melbourne. 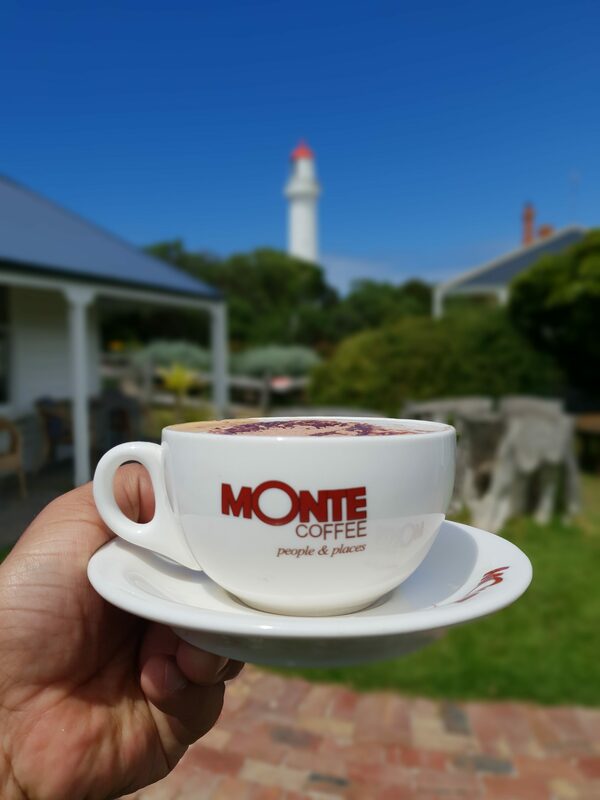 Here’s what we did – instead of hiring a car from Melbourne, we took an early morning train to the town of Geelong and hired a car from there. This saved us a lot of time and hassle of driving in the city. Also, we would suggest you follow the speed limits and lastly, plan your pit stops and leave early. There are quite a few car rentals companies, so be sure to do your research and compare the prices before you book. We rented ours from Thrifty. The store is a comfortable 15 mins walk from the Geelong station. We had booked an automatic Toyota Yaris but since it was unavailable we got an automatic Suzuki Swift. The car was in perfect condition, we payed AUD 152 for two days which was inclusive of Ultimate Protection and recovery plus protection plan. They give the car with the fuel tank full and you have to return the car with a full fuel tank as well, or you are charged twice the amount for the fuel. There is a Shell station nearby from where we got the fuel filled just before returning the car and it costed us AUD 30. We took a 7: 40 am train from Southern cross station in Melbourne to Geelong and arrived an hour later. 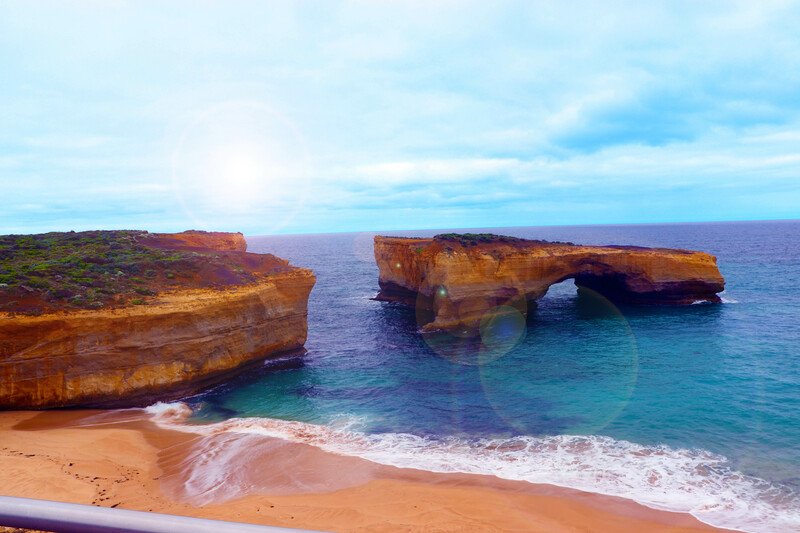 We started our drive from Geelong at 9 :30 AM and took several stops before we could finally reach the Twelve apostles. 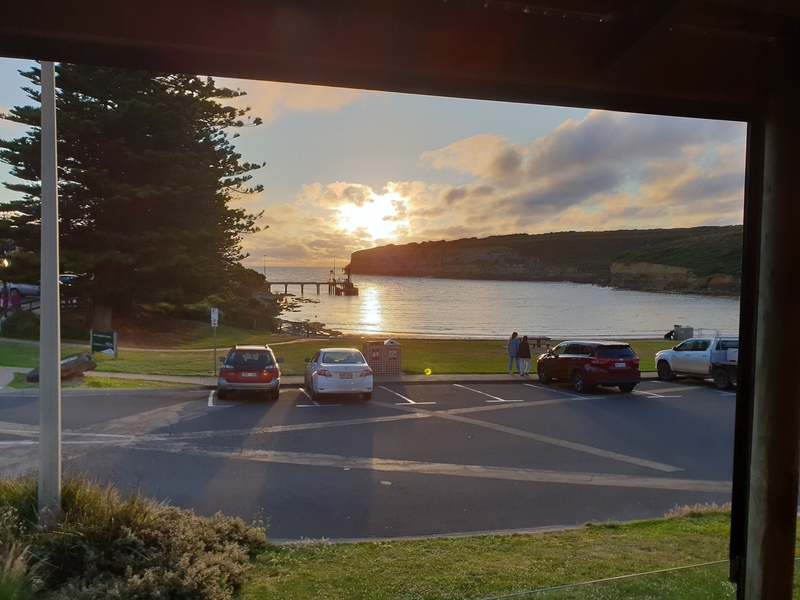 Later in the evening we checked in at our hotel in Port Campbell and enjoyed a delicious dinner at the 12 rocks restaurant. 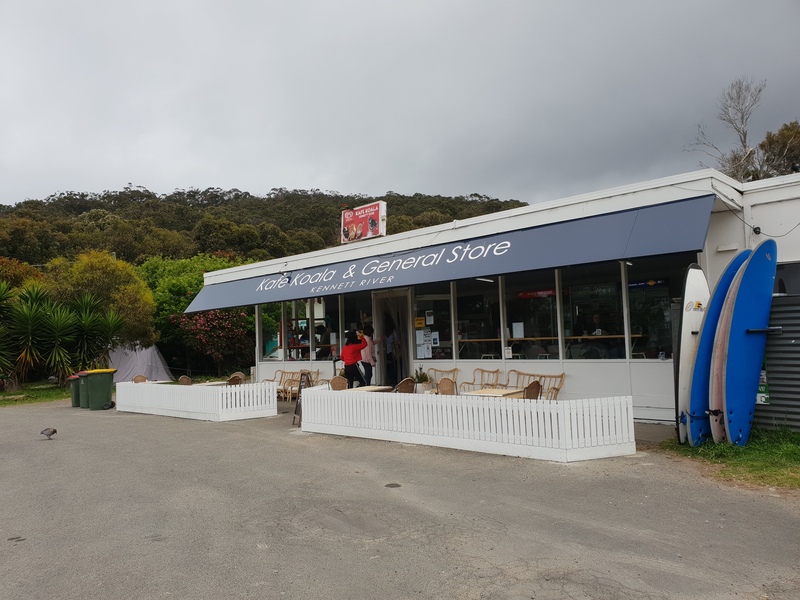 There are several great pit stops, scenic locations and points of interest at the Great Ocean road, below mentioned are the ones that we checked out and in our opinion they are an absolute must. 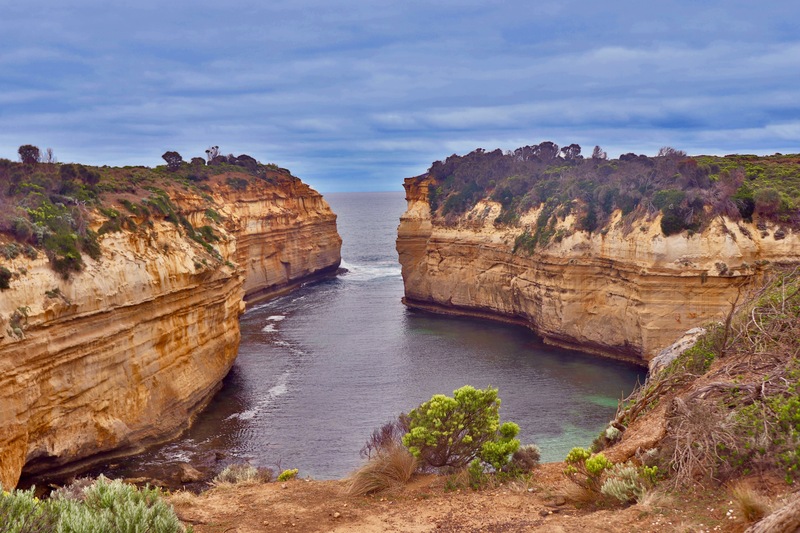 Without visiting this places you are actually not experiencing the beauty of the Great Ocean road drive! Just 30 mins away from Geelong, Bells Beach was our first pit stop. It is a popular spot for surfers, but when we visited, we didn’t see a single surfer (guess the weather wasn’t right). However, the views were amazing. From Bells beach we headed to the Split Point Light house which was just 25 minutes’ drive away and we spent a good one hour over here. The views from deck are amazing, we also did a bit of walk here and caught some great views of the light house from different perspectives. Next up we made a brief halt at the Memorial Arch just to take the fairly customary shot of the Arch! Just a 25 mins drive away from Memorial Arch is the Teddy’s lookout. 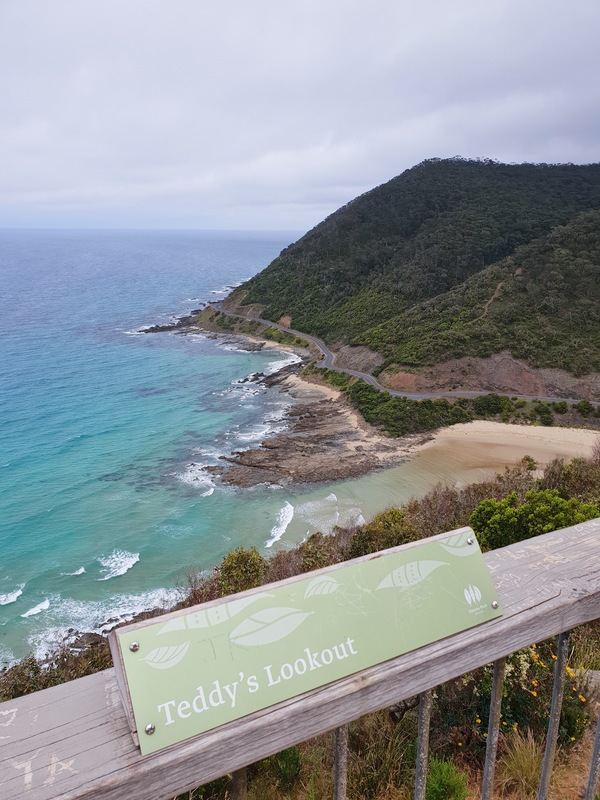 Even though there are many other scenic vantage points throughout this journey, we found Teddy’s lookout to be one of the best as it gives a very unique view of the great ocean road itself with the ocean and mountains in the background. It’s a quaint little place… when we visited it was not overflowing with people even though it is fairly known…It is also a great place for bird watching. Lorne Pier was an unplanned stop, but such a lovely one 🙂 Just as we routed ourselves back on the Great Ocean Road from Teddy’s lookout, we came across this beautiful pier stretching out in the ocean from a distance and we decided to stop over and take a walk on the Pier. Needless to say, the walk down the pier was amazing and once again the views were breath-taking. There is a pretty popular seafood restaurant here in case you want to take a lunch break. We had planned for a lunch stopover at the Kennet river and that’s where we headed to next. Our next stop was at Kennet river, just a half an hour drive away from Teddy’s look out. Kennet River was the first stop on this journey which was on the opposite direction (meaning, on the other side of the road), so we had to be slightly more careful about driving. We recommend you give the indicator in advance and wait for the traffic to clear from the opposite side before making the right turn to the car park. Kennet River is the place to be if you want to spot Koalas in their natural habitat. But, apart from that, Kennet River also has a nice little restaurant which serves good variety of food, coffee, other beverages and packaged snacks. We halted here for about an hour, enjoyed our lunch and fed the birds which flocked in massive numbers just outside the restaurant. We had a such great time clicking pictures with the birds, especially the King Red Parrot. 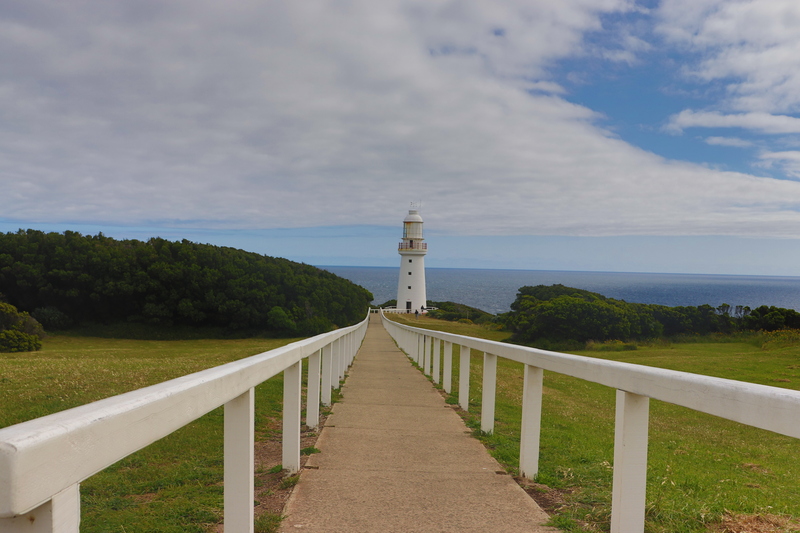 After some great food we headed for the Cape Otway Lighthouse, which is sort of a detour. It turned out to be a little race against time as it was already 3:30 PM when we left and the lighthouse shuts at 5 pm. Two things to note are that the last entry is allowed at 4:30pm, and also that this is a paid attraction – something we didn’t know at the time. The entry ticket is not cheap by a long shot, but we still decided to go for it and honestly, we don’t regret the decision at all. Since we visited towards the closing hours it was not that crowded. We even climbed up the towers and the views were majestic … the powerful wind which was blowing at that time made the experience even more thrilling. On our way back from the Cape Otway Lighthouse we saw a bunch of people peeping into the jungle, pointing at the long eucalyptus trees and we immediately understood that they have spotted koalas in the wild and thus we also parked our car on the side and spotted a few Koalas on the trees sitting right at the top. We were so lucky that we even spotted one crossing the road, but then a few people got excited and started to chase the poor koala to take pictures, which we felt was wrong. The poor animal looked petrified as people ran behind it into the forest…we honestly wish people were a little more sensitive and enjoyed wildlife from a distance instead of invading their space. 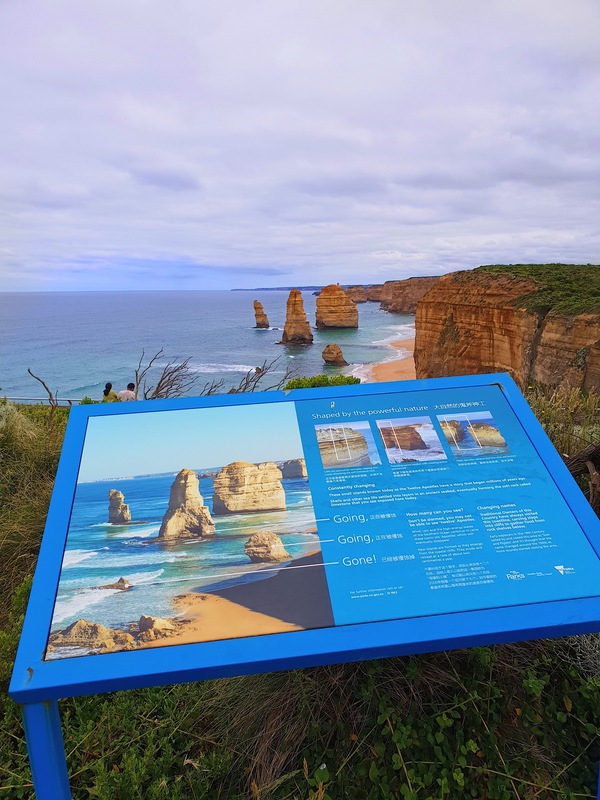 Our final stop for day 1 was at the Twelve apostles and as imagined the scenery was absolutely gorgeous … trust me when I say – it will literally take your breath away! We stayed here for a while and took in all the beauty of the sun setting in the background. We also called up at the hotel at this point to inform them that we would be checking in soon as the hotels here usually don’t have a 24 hour check in window. So, another recommendation is to always inform them about your arrival. We stayed at the Portside Motel, which is a charming little hotel. Our room was very comfortable, it had all the basic amenities and a kitchenette as well. You can read our full review on the property HERE. 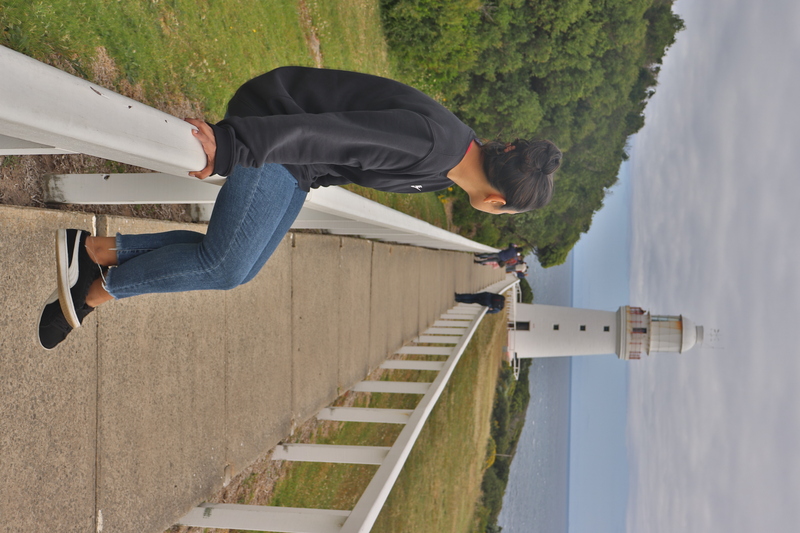 After checking in, we went out to explore Port Campbell. It was around 7.30 PM and we ended up going into a convenience store to stock up on some snacks and buy a few beers. It’s a small, cosy town and things wrap up around this time, so if you want to stock up on essentials or grab a bite to eat here, make sure you don’t get there any later than this. We ended up buying a few sandwiches for the next morning and our favourite Australian beverage, Bundaberg along with a bottle of Dark beer. 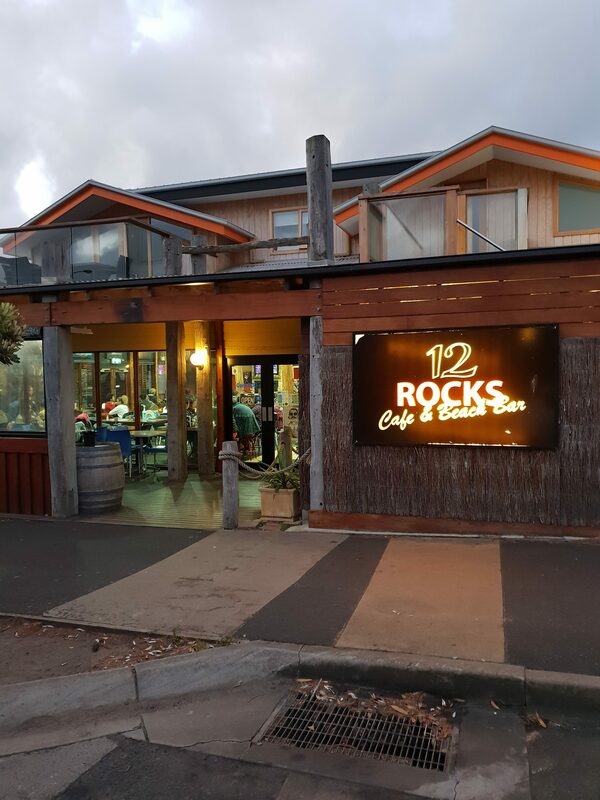 Next up, we started looking for a place to eat dinner and went to the 12 Rocks Café. The atmosphere inside was alive and kicking as if the entire town had come here to party! 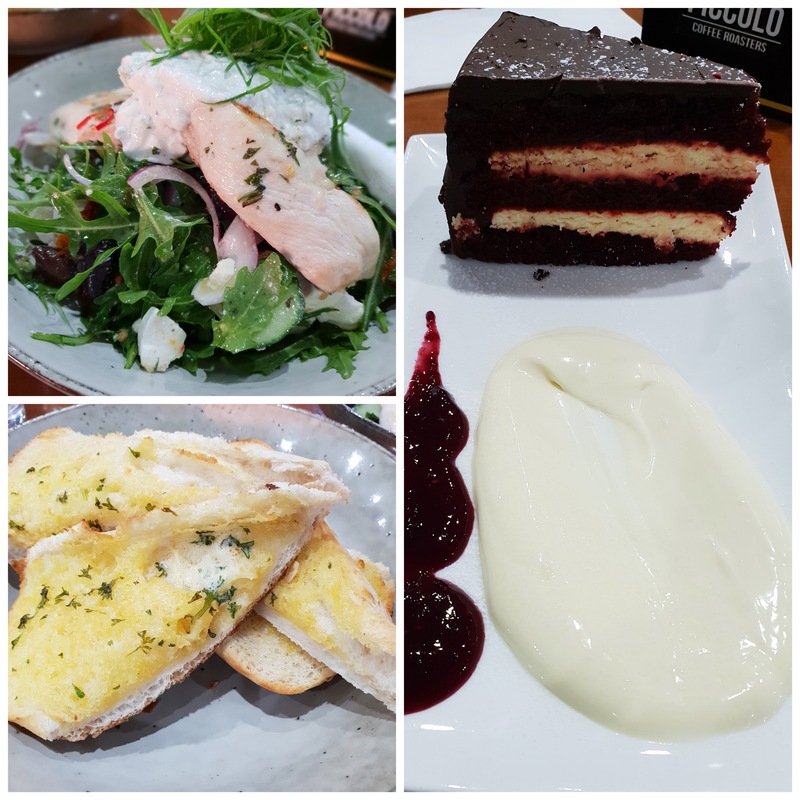 The food was awesome – we had grilled chicken with Salad, a portion of garlic bread and a red velvet cake. Yum Yum Yum! The restaurant also has outside seating with some great views of the foreshore. After dinner, we took walk till the foreshore and wandered around the absolutely deserted streets for a bit before calling it a night. With lesser things to cover on day 2, we woke up relatively late and checked out around 9 AM. Our first stop was the Arch. Just a few minutes’ drive further away from our hotel, the Arch was completely deserted when we reached there. We had the entire view to ourselves, it was magical! We clicked a few pictures and moved on to our next pit stop – the London Bridge. Further down the road is the famous London Bridge of Australia. It has a great story behind it – how 2 people got stranded on the rocks after a portion of it collapsed and how they were rescued from the rock. This was actually our second most favourite scenic spot on the entire great ocean road. 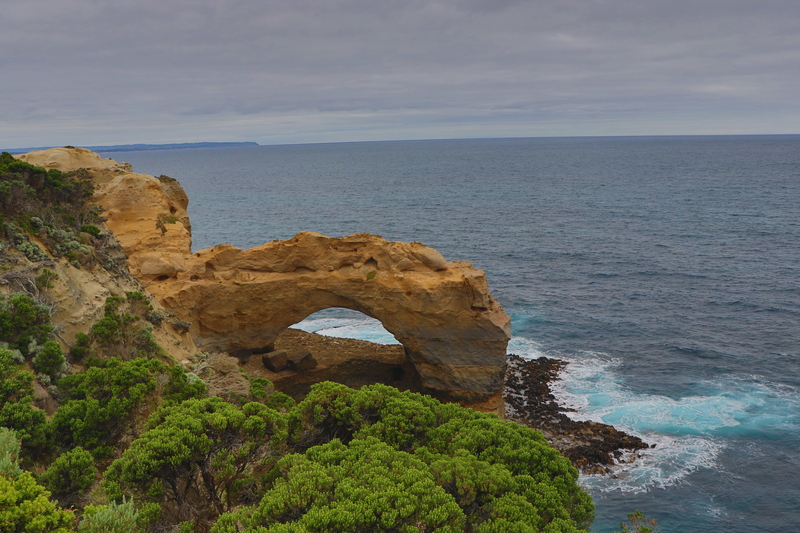 From London bridge you can go further up to The Grotto, but we decided to turn back and halt at Loch Ard Gorge. The views were brilliant and you can access the beach also but it was a rather chilly day for anyone to be actually enjoying the beach. That being said, Great photo ops nonetheless! From there we went to check out the views of the Twelve apostles one again which not to mention were absolutely magnificent. Click on the image above and Zoom to read how these amazing islands are formed! You can even book a helicopter tour here for some breath taking views from the sky but the prices are pretty steep. 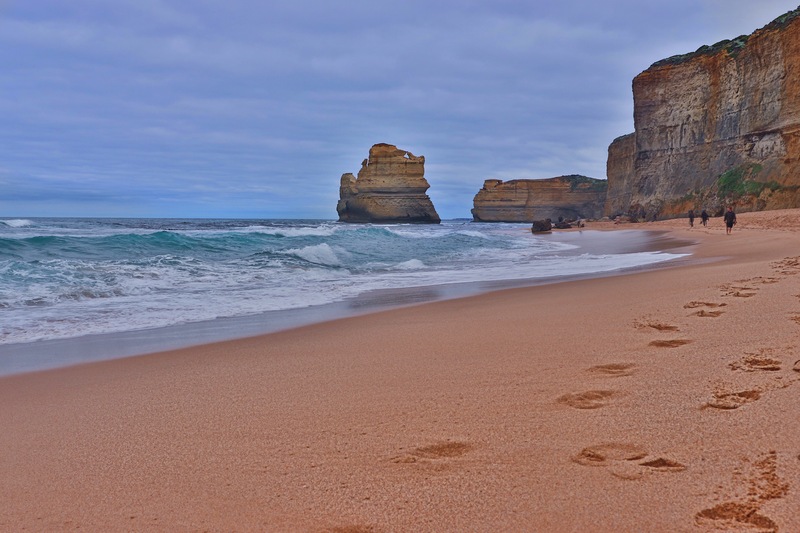 For our next halt which was Gibson steps we decided to walk down from the Twelve Apostles viewing area itself. It’s not much of a walk and not a lot of people do this walk. 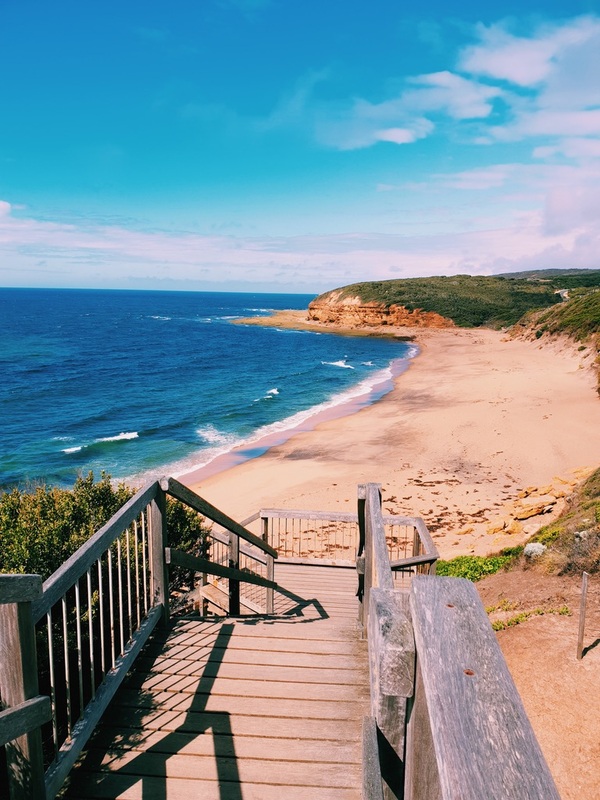 The other option to reach Gibson Steps is to drive straight till the Gibson’s Steps parking and then just do the last round of walking which is basically going down the stair case to the beach. We honestly enjoyed the walk but once we were down at the beach the overall experience was a bit underwhelming. And with that we concluded the sigh seeing part of our trip, ate our sandwiches in the car park and took another route back and drove for next 2 hours or so non-stop to Geelong. We had to be in Melbourne by early evening as we were meeting a few friends and hence didn’t really keep a heavy sight seeing plan for day 2, but in case you are in no hurry to return to Melbourne there are a few other interesting spots such as Carisbrook Creek, Anglesea Golf Club which you can explore on the way back. After reaching Geelong we got the car refuelled and returned it at Thrifty, the manager there did a quick check and informed us that the deposit would be credited back in a few days and from there we walked till the Geelong station, tapped our Myki Cards and were in Melbourne by 3 PM. 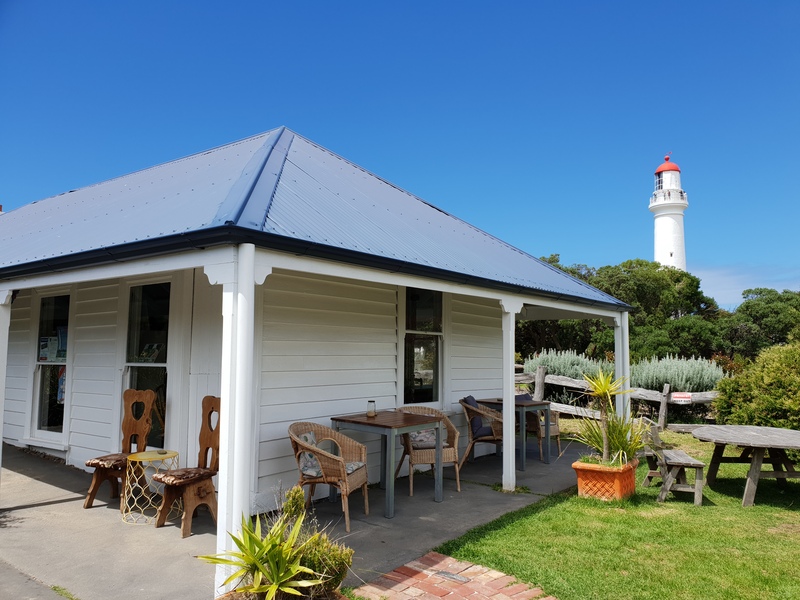 1.We download offline maps on google maps so that we are not stranded in case the network dies, which it did while on our way back from the Cape Otway lighthouse. So do not forget to download offline maps. 2. You are going to see wildlife on your way and you are going to see long stretches of road with absolutely no cars in sight, but please do not get carried away, stay within the speed limits. 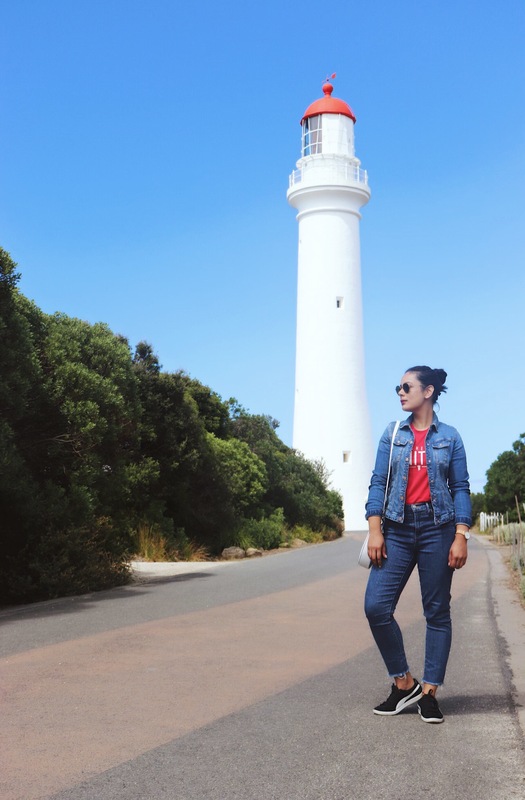 We had a great time on our two day self-drive expedition to the Great Ocean road and we hope this article would help plan your trip.